The mad scientists at Lenovo are at it again with another Snapdragon-powered Windows laptop—and it’s beautiful. Meet the Yoga C630, a newcomer in Lenovo’s WOS (Windows on Snapdragon) line of laptops. It’s quite peculiar because this device is running a full version of Windows 10 on what is essentially a processor that’s designed for mobile devices—the Qualcomm Snapdragon 850. But make no mistake, the Snapdragon 850’s power is no laughing matter. 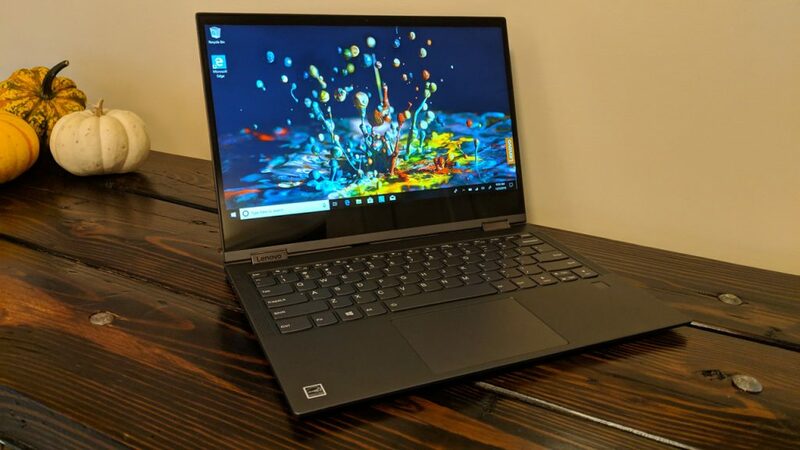 Of course, there are definitely some pros and cons to consider here, so let’s go ahead and take a look at the features of the Lenovo Yoga C630. First off, we would like to say that this laptop just looks and feels amazing! It’s thin, it’s light, and it has a premium feel to it. It sports a full aluminum design and chassis with two USB Type-C ports. It has a full HD 13.5-inch display with super-thin bezels. The 720p camera is pretty decent for video calls, and the display also includes pen and touch support. The keyboard and track pad are responsive, and the top-firing speakers at the opposite sides of the keyboard deliver room-filling audio. The laptop has a fingerprint reader for logging in. And of course, it has the Yoga-style hinges that rotate 360 degrees, effectively turning the device into a tablet. One of the upsides of using the Qualcomm Snapdragon 850 Mobile Compute Platform is that it’s incredibly power-efficient. According to Lenovo, the Yoga C630 can run for up to 25 hours on a single charge. This really depends on how you use the device, but we tested it ourselves, and we found that it can last 13–15 hours with regular media-heavy use. This is insanely good battery life. Another awesome thing about having an extremely power-efficient device is that you don’t even have to turn it off! Much like a phone, the device can go on standby mode. You can save yourself the hassle of boot-ups. The device just wakes up at the press of a button. Also, the Yoga C630 can provide you with 24/7 LTE connectivity as you can place a SIM card in it. You receive notifications and emails even when it’s on sleep mode. This device definitely outclasses most laptops in this aspect. This is where the Yoga C630 falls a little short. It can mostly only handle lightweight tasks. The Snapdragon 850 processor is comparable to an Intel i3 processor in terms of CPU benchmark scores. This wouldn’t be the best device for heavy gaming or video editing. Also, because of its architecture, apps in the Windows store will work great, but running 32-bit EXE applications downloaded online (such as Google Chrome) will be slower just because of how the software currently works. However, this will improve as the software is further developed. Is It for You?Lenovo is one of those few companies that sell laptops for a very specific target market. The Yoga C630 is for people who travel a lot and are in need of a full, reliable Windows 10 experience to do light tasks such as writing or designing. This is a beautiful device and it has insane connectivity and battery life. If you like the sound of that, then the Yoga C630 is definitely for you.